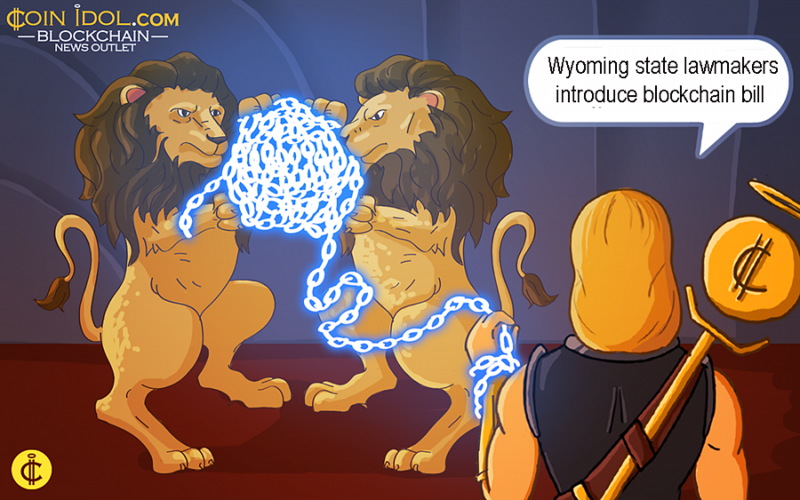 Wyoming lawmakers have presented a bill that would enable corporations to issue certificate cryptocurrencies instead of stock certificates using distributed ledger technology (DLT). The bill suggests an amendment to pass the issuance of tokenized stock-certificates in place of paper-based certificates. “The articles of incorporation or bylaws of a corporation (corp) may stipulate that all or a portion of the shares of the corp may be represented by share certificates in the form of certificate tokens,” the document notes. If the bill is legally signed into law, it would come into effect on Monday, July 1, 2019, according to the document. On Tuesday, the Wyoming House Committee on Minerals, Business & Economic Development without dissent sanctioned the “Financial Technology Sandbox” bill. Wyoming – a state in the western United States; mountainous in the west and north with the Great Plains in the east, is taking very big steps to form use cases for DLT and the lobbying for the credence of the nascent technology is massive. Recently, Wyoming issued a bill which would offer a regulatory sandbox for DLT startups in the state. In addition, a set of legislation which let off utility tokens from the securities law was successfully passed in 2018 and that was the exact year that the U.S SEC was so much interested about tokens being securities. Also, last month, Teton County in Wyoming, signed a MoU with Medici Land Governance to employ DLT in land registries within the county. It is very early to determine whether Wyoming’s gradual advancing posture on the DLT may assist it to develop the next Silicon Valley.